These colors are custom colors and take 2 weeks to ship. They are a great as accents over acid stains other Smith Paint stains because they do not contaminate the environment and do not require acid neutralization after application or special concrete to react properly. 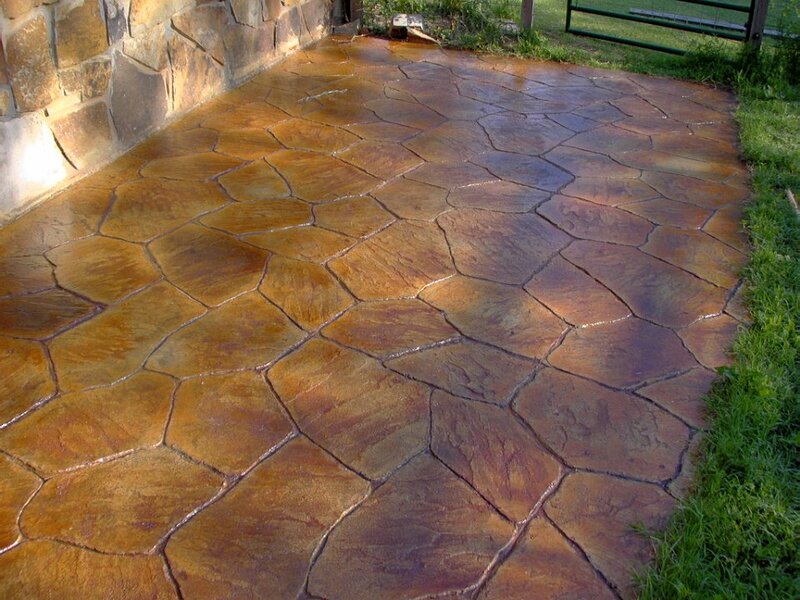 Stains can be applied to any absorbent concrete surface as well as some natural stones. The stains come ready to use. They are a great replacement for acid stains because they do not contaminate the environment and do not require acid neutralization after application. They are simple, safe and fun to use. The stains can be applied with many different application tools including airless sprayers, hand pump sprayers, sponged or ragged. They create great faux color variations. All stains are made with the highest quality raw materials, superior manufacturing, and are used world-wide for functional and decorative art. Also available in quarts, Please call 1-800-9973873 for more information. It is recommended to prepare the concrete with SealGreen Color Stain Primer Cleaner. Very happy with my patio it looks like new!